Russian President Vladimir Putin has been included in Time Magazine's annual list of the world's one hundred most influential people, reported Ria-Novosti on Friday. Although the list was not ranked in order of importance, Putin's name was second in the list.Other names in the 'Leaders and Revolutionaries' section included Barack Obama, Hillary Clinton, George W. Bush and Hu Jintao. Putin, who was named Time's Person of the Year at the end of 2007, is to step down as Russian president on May 7. 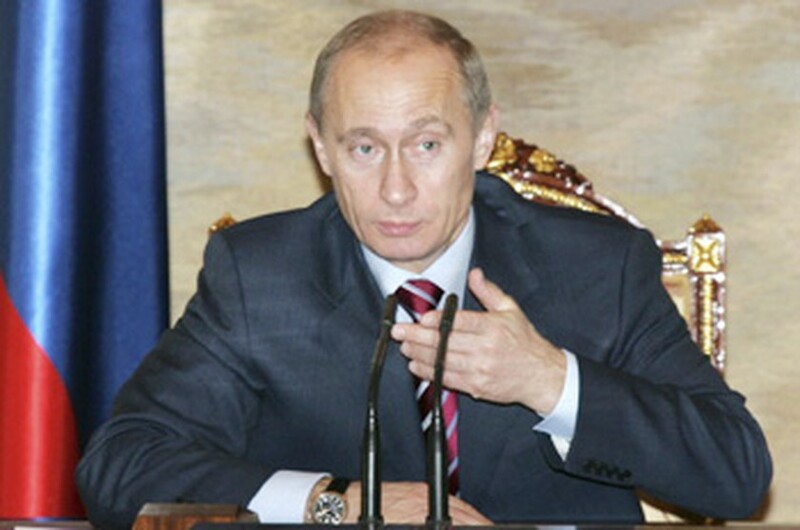 He has already agreed to become Russia's premier and head the ruling United Russia party. Former U.S. secretary of state, Madeleine Albright, wrote in an accompanying piece in Time that it was unlikely that Putin would "wear out his welcome at home anytime soon, as he has nearly done with many democracies abroad. In the meantime, he will remain an irritant to NATO, a source of division within Europe and yet another reason for the West to reduce its reliance on fossil fuels." The outgoing Russia president was portrayed as Peter the Great in a 'portrait' that accompanied the list.